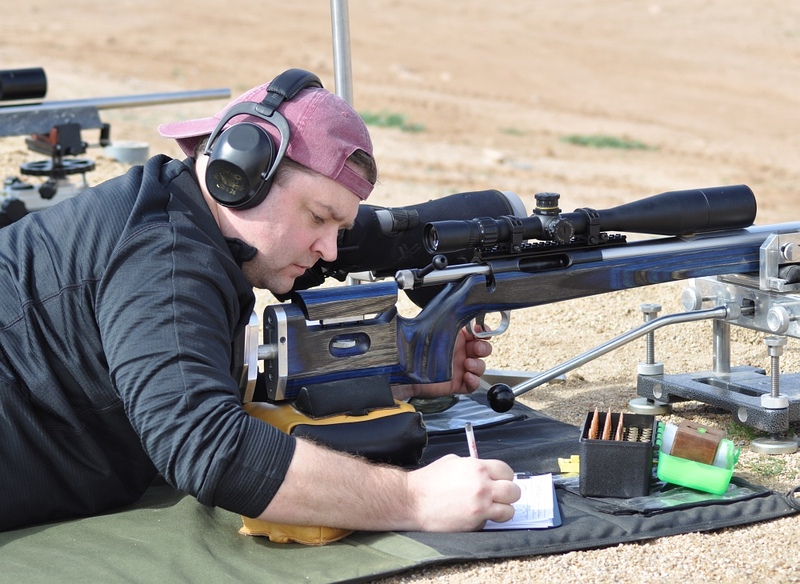 AccurateShooter.com has something no other website has — an IT guy (and database guru) who can lay down tens and Xs at 1000 yards. 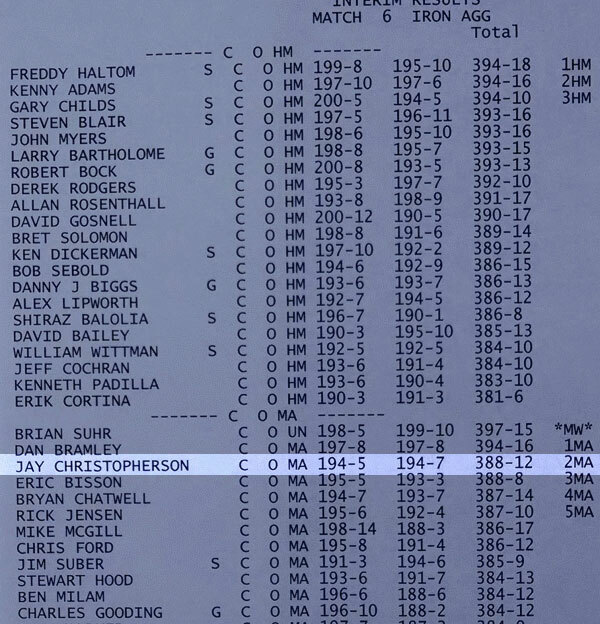 This past week, Jay Christopherson (aka ‘JayChris’) has been competing at the Berger Southwest Nationals. 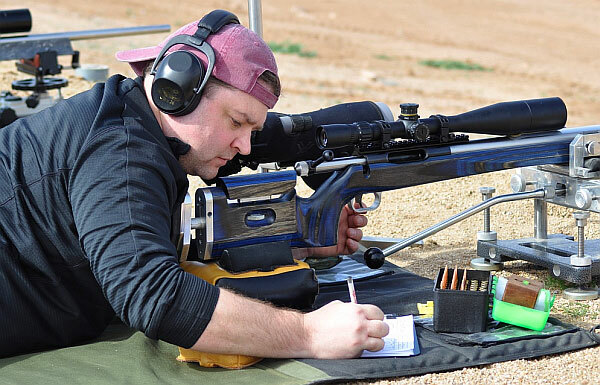 During Saturday’s 1000-yard individual competition, Jay scored 388-12X. For the day, that topped a number of high masters, including a couple past F-Class National Champions. Not bad for a self-declared “computer geek” competing in his very first major match against national-level competition. UPDATE: On Sunday, Jay did even better, finishing with a 392-14X for the day. Again, he out-shot many of the more experienced High Masters. Good on you Jay! Congrats to Jay, who may be the world’s most accurate IT guy. We have to respect a man who can SHOOT and COMPUTE. To explain, Jay is the guy who keeps our servers humming, and who maintains the databases that drive our Forum, Daily Bulletin, and main website. AccurateShooter.com couldn’t run smoothly without Jay’s brain-power, coding skills, and dedication. He is truly the “genius behind the scenes” who makes it all possible. All of us are fortunate to have Jay on the team. 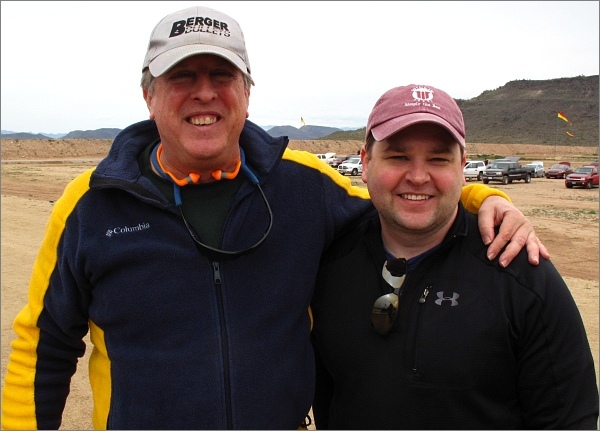 Here is Jay (on right) with your Editor Paul McM (aka “Forum Boss”) on left. Share the post "World’s Most Accurate IT Guy? JayChris at the Berger SWN"
Congratulations Jay. Paul, excellent story. Nice shooting Jay, hoe to see you next weekend at Cascade! Any specs on the rifle and equipment? I did a little better today with a 392-14X. Really a great match, I can’t recommend it enough. Estimating myself at 16th overall might have been a bit optimistic, but at the time, I didn’t have a lot of information on the Palma results to estimate with… I think I ended up somewhere around 26th overall, but after such a tough start at 1000 in the Palma match, I’m more than happy with the finish. @Mason – I’m shooting a Barnard Model P in a PRT Lowboy stock, using a Benchmark barrel chambered in .284 Shehane (chambered by myself). Scope is a March 10-60×52. Jay, you did a great job. It was very nice to meet you and see you punch X’s in Phoenix, I hope to see you on the line again soon. Thanks for everything you do on this forum!